Serving fresh hot mini donuts has never been so easy! State Fair Mini Donuts are deep fried and flash frozen at our bakery, saving you the mess of doing it yourself. Our innovative conveyor oven will heat these pre-cooked mini donuts in 40 seconds or less. State Fair Mini Donuts are now Trans Fat Free and Certified Kosher! Contact Us for discounted pricing on half pallet (35 cases) or full palled (70 cases). 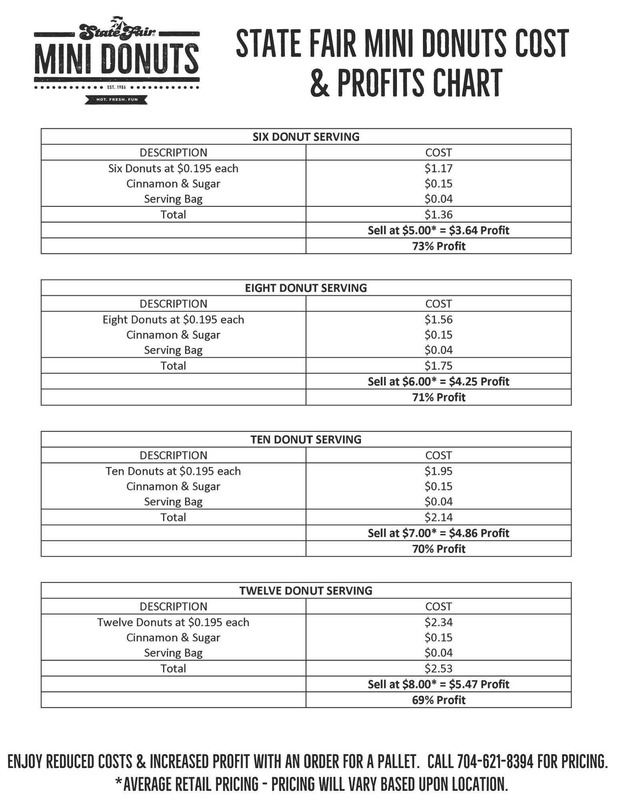 During summer months and for climates over 75º F, we recommend choosing donut option “63400” below. 420 Donuts – 6 boxes @ 70ea.